There are tons of fantastic motorcycles you hear about. For every top list though, there has to be a worst-of list to counteract. Here is that list- the top 10 worst motorcycles of all time. This bike was made in both 1965 and before that in 1958. The bike offered a moderate level of handing, but the mufflers were built too low. Too low in fact to clear the ground during an everyday ride. This proved to be a harrowing quality that bikers everywhere rejected…especially when they were making turns requiring leaning. 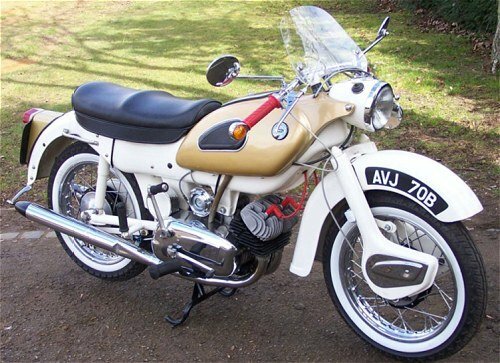 The bike itself looked good but just didn’t perform well enough to make it off the list of worst bikes of all time.